It’s Thursday today, day four of our trip, and the time to summarise what has happened so far. Last Sunday evening we boarded the sleeper bus at Victoria Coach station bound for Glasgow. 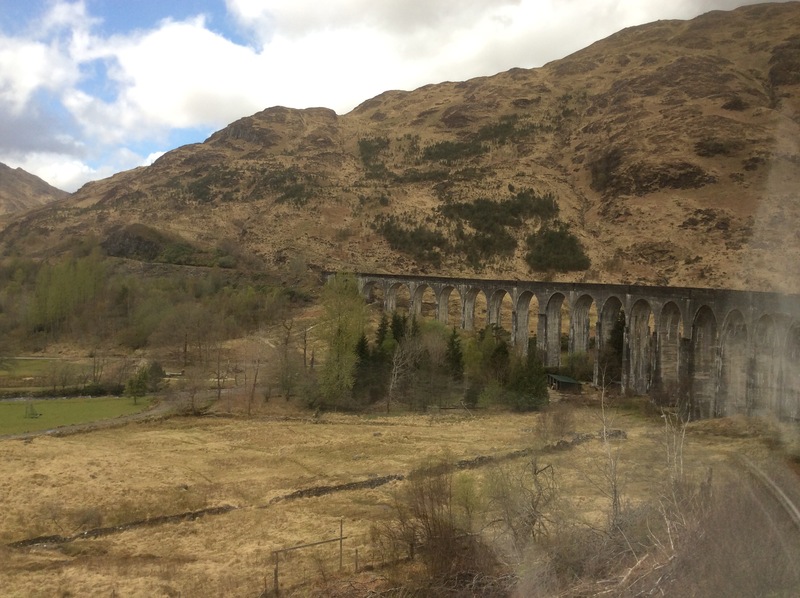 The journey was eventless and even with coffee at the wrong train station we managed to get the right train on time. Few hours in, we suddenly had lots of people climbing all over us taking pictures of a bridge. Apparently very famous and one from Harry Potter, too. 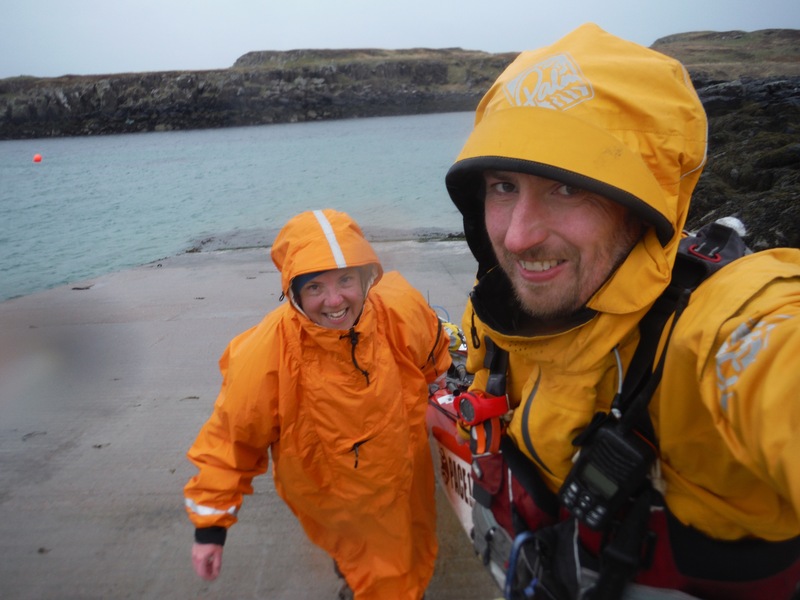 After a short spell of hitchhiking and soon we were reunited with our boats at Glenuig Inn. Then the hardest part started, the packing, fortunately we have sent our stuff up mostly ready in dry bags, so really we just engaged in the art of fitting it all in the boats. Three hours later we were done. We left the next day, on Tuesday being waved off by Julie, Paul and Roger from Devon, the people who kindly drove our boats here. 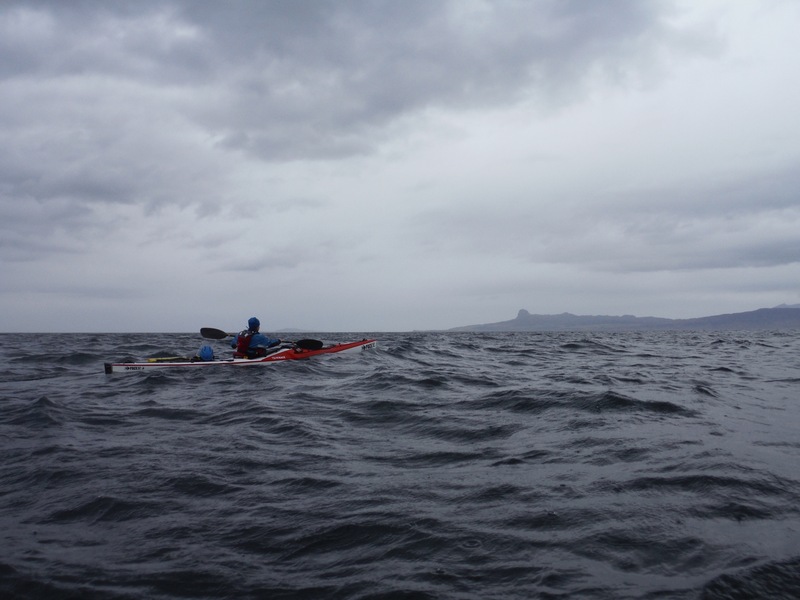 Our first paddling aimed for Eigg, we arrived here in wind and rain. And because neither of us sees the point of being in a tent in the wet when accommodation is affordable and available, we checked ourselves into a hostel. Later we discovered that we would be windbound for few days. Ok, we could have paddled but would not really get anywhere significant, especially for this trip. So we decided that being wind bound while it is sunny is the best. A local dog made our acquaintance and engaged us in a game of throw and catch. The next day we climbed the An Sgurr. Looking around from the top made us realise that we aren’t at the end of the world as being on an island seems but right in the middle of the universe. 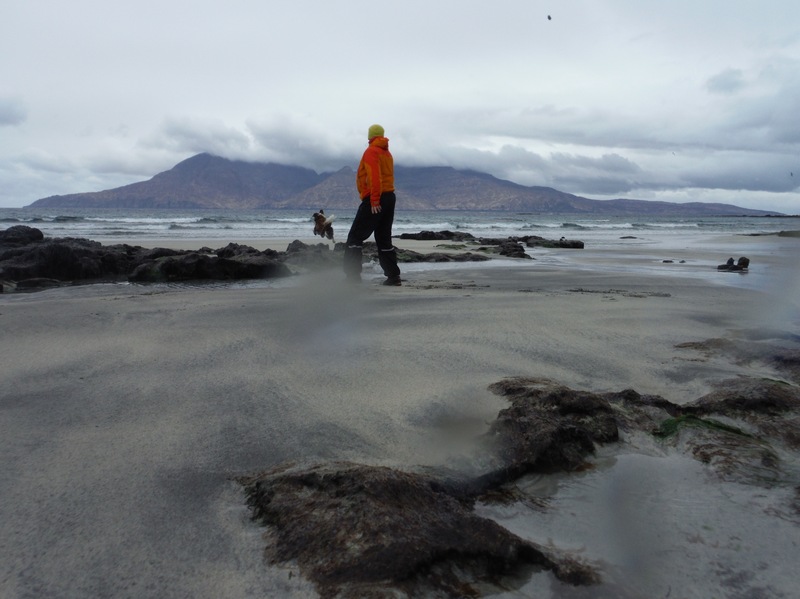 We could see Treshnish islands, Coll, Ardnamurchan Point, Skye, Outer Hebrides, everything a kayaker would wish to visit. How beautiful! I’m used to the beauty of Alaska and the Puget Sound but what a unique and beautiful place to explore! I hope I have the privilege someday of exploring your side of the water. I’ve only read a few of your blogs now but have you been to the U.S. to kayak?